Good news SEGA Nerds, two classic SEGA* titles are now available to play on Xbox One, via its backwards compatibility: Virtual-On Ontario Tangram and Radiant Silvergun. Both were previously released on XBLA on the Xbox 360, but it’s good to see that we can continue playing them on modern consoles. 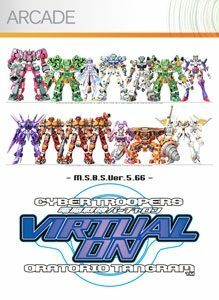 For those who don’t know about these games, Virtual-On OT – or rather ‘Cyber Troopers Virtual-On Oratorio Tangram’ to give its full title – was originally released by SEGA in Japanese arcades back in 1998 and was later ported to the Dreamcast. It’s a 3rd person 3D fighting game, where players take on the form of giant robots and is a sequel to the 1996 Cyber Troopers Virtual-On, which was originally released in the arcades and on the SEGA Saturn. 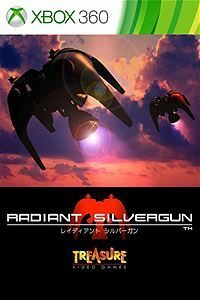 Also released was Radiant Silvergun. Now, technically this is a Treasure-owned title and not a SEGA game (hence my * at the start), but the game is synonymous with SEGA, as SEGA published the original arcade version in 1998 and just two months later it was brought to the SEGA Saturn as a console-exclusive. It’s a scrolling shooter and arguably one of the best in the genre, with Saturn copies still being sold well over £100 on eBay, such as here and here. It was then ported to the Xbox 360 (XBLA) in 2011, with the original game intact. However, the Xbox version does have a bonus feature: Radiant Silvergun‘s spiritual successor (and also SEGA-synonymous title), Ikaruga, was also released on XBLA and those who earned an achievement in Ikaruga, could then load up Radiant Silvergun and unlock its secret ‘Ikaruga Mode’ – which uses the same scoring system as Ikaruga. So what are you waiting for? Go grab some classic SEGA* titles for you Xbox One!